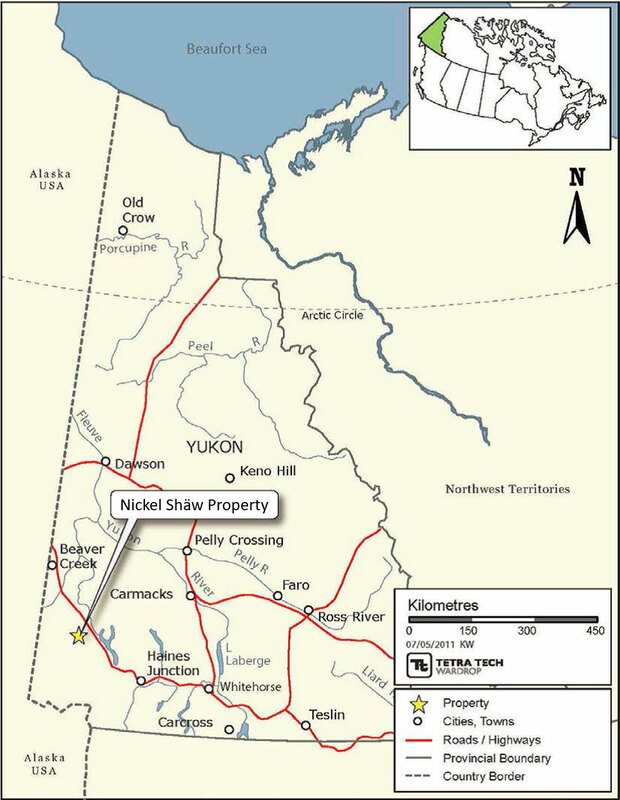 Nickel Creek Platinum’s 100%-owned Nickel Shäw project is located in the south west of Canada’s Yukon Territory, approximately 317km NW of the capital, Whitehorse. The deposit is accessible from the paved Alaska Highway, which leads to year-round, deep sea ports in Haines & Skagway Alaska. The regional climate is semi-arid, sub-arctic with relatively warm, dry summers and winters characterized by relatively dry, cold interior conditions, but tempered by west coast climate influences. The area lies in the rain shadow of the Saint Elias Mountains, with average annual total precipitation for the Burwash Landing station of 27.97 centimetre cm (11 inches) of which 19.2 cm (7.6 inches) typically falls as rain in summer and the remainder as snow in winter. The Property lies within the Kluane First Nation core area as defined by their treaty with Canada and the Yukon Government. An all-weather airstrip is located 30 km southeast of the property at Burwash Landing and maintained by NAV CANADA.